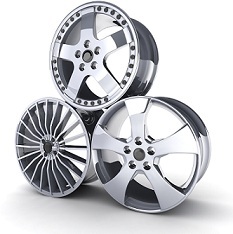 At Action Tire Center, we have access to a wide selection of wheels. If you're looking for a particular OEM or custom wheel, call (616) 531-5340 or email troym@actiontirecenter.com with your request. We proudly serve drivers in Wyoming, MI, Grand Rapids, MI, Holland, MI, and surrounding areas.